A Life Group is made up of two or three people who meet weekly to discuss the Bible, to ask each other character-building questions and to pray for the salvation of family and friends. This simple yet powerful format incorporates the values of community, internal life transformation and reproduction of disciples. There is no leader of the group and no curriculum or workbook or training required, meaning that absolutely anyone can start or join a Life Group. Why Two or Three People? Relationship (Ecclesiastes 4:9-12)Life change does not happen in a vacuum; it happens in relationship with others. For most, it is difficult to have the kind of close knit bond that can change lives with more than three people at any one time. Accountability (I Timothy 5:19)Few things in life get done without some degree of accountability. In the pursuit of Godliness we need accountability to one another. It’s hard to be accountable to more than two or three people at a time. We can find support with a small group who knows and understands our life. Confidentiality (Matthew 18:15-17)Confession of sin is needed for cleansing, healing, and preparation for a life of service, and a safe place is essential. Two or three others of your same gender, who know and care about you and who are also sharing their own struggles, provide as safe a place as one can find. 4. Flexibility (Matthew 18:20)Two or three busy people can coordinate their schedules and meet almost anywhere. 5. Reproducibility (2 Timothy 2:2)Simple things multiply more easily than complex things. If we learn to multiply this basic unit of the church, we have a better chance to multiply more complex groups, ministries, and congregations. There is strength in relationships that are built around supporting one another as Christians. The first thing the Life Group does together is ask each other some Character Conversation Questions. (The questions are printed on one side of the Life Groups Bookmark which you can pick up from reception or print off for yourself here)The meetings start here because it is easy to lose time talking about other things. Each person takes turns answering the same question until all of the questions have been worked through. The group selects an entire book of the Bible to read through each week and discusses what the Lord showed them through it when they meet. As a general rule the group should aim to read 25 to 30 chapters of scripture per week so if one of the shorter books of the Bible is picked it should be read multiple times. If any member of the group doesn’t manage to complete the agreed reading that week then the entire group repeats the reading the following week. The group only moves onto another book of the Bible when every member of the group completes the reading in the same week. Sometimes this means a group will re-read a passage several times. The pay-off is that you are getting more familiar with the Bible! The group prays for the salvation of specific people The Life Groups Bookmark (which can be printed off here or picked up from reception) has the Character Conversation Questions printed on one side and the Strategic Prayer Focus printed on the other. This is to remind each person in the group to pray specifically for each of the people named on the card as they read their Bibles throughout the week. Each member of the Life Group is to identify one person that needs Jesus and that the Lord lays on their heart to pray for. The names of these people are than written down on the card of every member of the group. Each person in the group prays throughout the week for those on the list until they see their prayers answered. Those who come to know Christ as a result of this become perfect candidates to be added to the Life Group resulting in the multiplication of the group. START OR JOIN ONE TODAY! 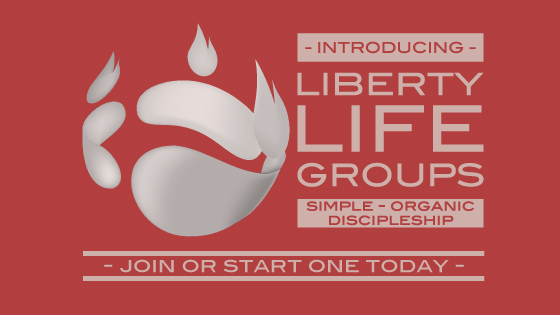 You can pick up a Life Groups Bookmark from reception or print off your own from the pdf here.